Somebody took down a left turn signal at the intersection of I-494 and Hwy. 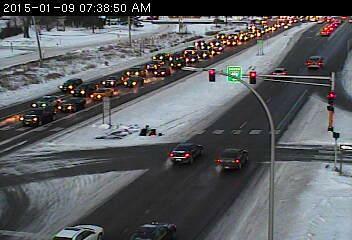 55 in Plymouth, and that has all the signals flashing red. The result is a major backup on eastbound Hwy. 55 that goes all the way back to Hwy. 101.